Practicing on the way to the recital. Photo by Mary Stebbins. 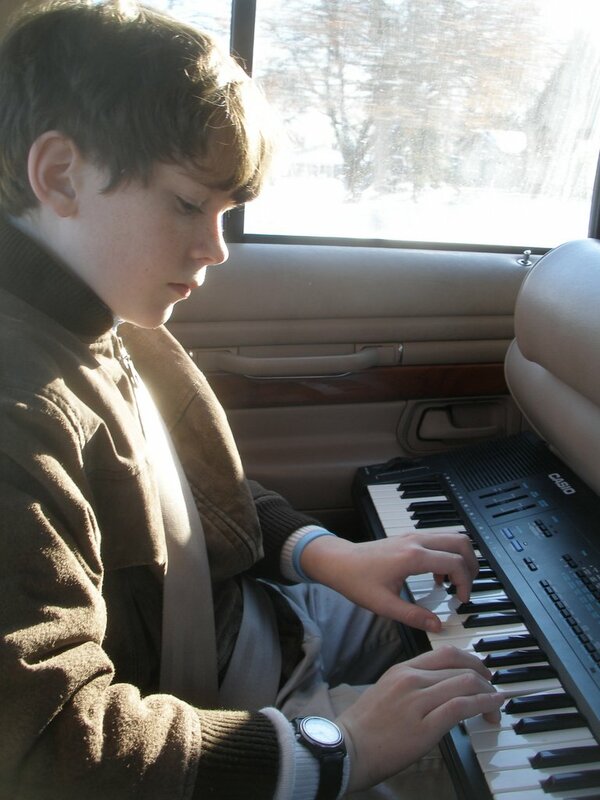 This is my son, Graham, who had his recital today--well, officially yesterday now. He was playing on the way. LOL! A "portrait" of Graham and a submission for Thursday Challenge: SOUND. Link to my regular photoblog, IMAGIK.